Is that thing poseable? I Want it? Where do you get it? @Reverend Ender: I haven't the vaguest. Apparently it's some sort of Ghost in the Shell toy. That looks like one of the 1/24th scale Tachikoma's (an android mini-tank) produced by Wave. You can find them at BBTS, Hobby Link Japan, pretty much any place that deals with import figs. 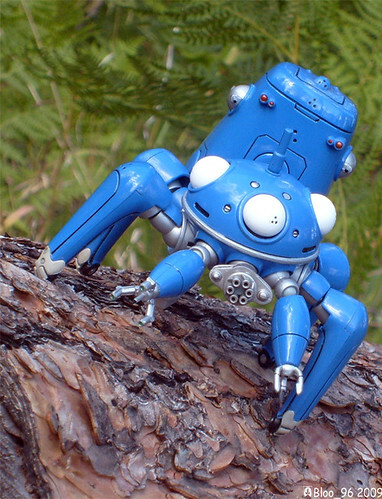 Heck, I just did a quick search for "Tachikoma" at Amazon and turned up a number of listings for them.